In the last two weeks I have read a ton on happiness, and it's a great timing too because I am surrounded by happy kids, love, family, time to think, good food, and no where pressing to be. 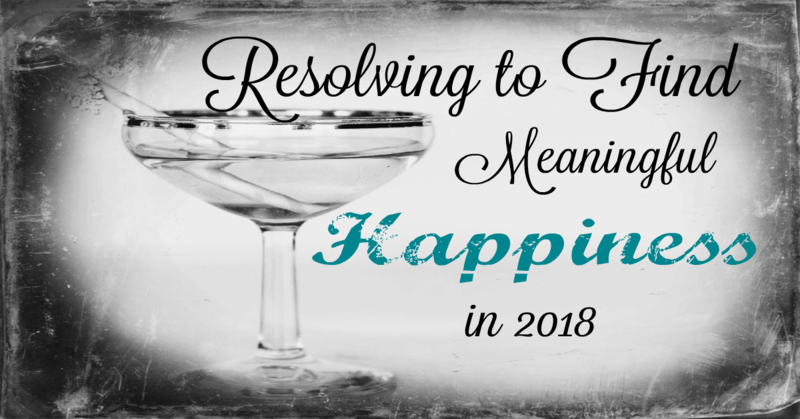 In other words, perfect conditions to consider happiness and resolutions for the upcoming year. I find there are generally two camps of resolution makers. Ones that do (and really do) and ones that don't. I fall firmly into the first camp. I do, and boy do I do with charts and lists, and SMART goals, followed by eventual self-chastising over failure to meet said goals. Looking over my resolutions for the past 7 years (yes, I've kept them all-don't judge) I found a couple of things: 1) I basically keep the same goals over and over (eating better, exercising more, try yoga, clean the house more often, etc.) and 2) I keep the same goals over and over because I have yet to achieve them. Not to say I haven't gotten closer to achieving them. I have made progress. I eat way better than I used to, I have taken a yoga class, I do yell at my kids less. Then there are the others that I just really haven't gotten any closer to reaching....Why?? In my happiness research, I have read two books that have really helped me to set a path forward for 2018. "Authentic Happiness" by Martin Seligman , and "The Happiness Project" by Gretchen Rubin . Seligman has since updated his definition of Authentic Happiness with a new theory of Well-Being consisting of 5 pillars (Positive emotion, Engagement/Flow, Relationships, Meaning & Purpose, Accomplishment), and Rubin set forth a list of goals (tracked on a chart no less, be still my heart) based on her own happiness research to see if doing these things would lead to a happier existence for her. Seligman's work really resonated with me. I don't just want to be happy just to be happy. I want to matter. I want to know that I am unique and my uniqueness mattered. It impacted someone, something, etc. That would make me authentically happy. Being in a "happy" mood (increasing positive emotion) makes one more productive, creative, healthier, easier to be around, and fortifies you for when bad things do happen. However, chasing happiness, looking for shortcuts to happiness often leads to unhappiness. No, we want happiness to be meaningful and fulfilling, which means that sometimes doing what's right won't make you happy in the short term, but will in the long run. Sort of like eating your vegetables and brushing your teeth or going on my daughter's field trip even though it will bring me enormous displeasure but it makes her happy, and so it is for the greater good for our relationship in the long run. Rubin's work seemed like a good approach, but maybe too much work for me. She did have some great ideas and places to start. She also came up with some great commandments and life lessons learned through her year long personal experiment. One that stood out was "Be Gretchen." In other words, stop doing the stuff you think you should do, and embrace who you are and what you like to do (your unique strengths, although hers was more about what you you like to do for pleasure). I don't even have to change the name! It's perfect. I also liked her approach to decreasing what brings her displeasure, and I also like the fact that she pointed out that sometimes what makes you happy long term, makes you unhappy short term. Positive Emotion - What brings me pleasure? How to increase it? How to decrease the stuff that doesn't. Engagement (of Flow): This is the total absorption in a task. When your strengths meet the challenge of the task at hand and you lose your self in what you are doing. Relationships: We are social creatures and not only is your happiness tied to others, but in my opinion your relationships are the thread or the glue that binds the meaning/purpose, and accomplishment pillars to the authentic happiness equation. Sometimes even the purpose for having a purpose. Meaning and Purpose: A meaningful life is one in which your signature strengths or your unique strengths are used in service of something larger than you. In my words, that I bring something unique and irreplaceable to the world and I am using it to make an impact in some way. Accomplishment: Accomplishing something just feels good in it's own right. Sometimes it is proof that what you are doing with your talents or strengths are having an impact, but it doesn't have to be limited to this. It could be finishing a creative project you were working on. It could be closing a deal at work that you have dedicated much of your time towards. Awareness/Mindfulness, whatever you want to call it, I sometimes feel like I go through life on auto pilot waiving irritants off like flies without stopping to think what is it that is irking me and can I and do I want to do anything about it? Likewise, i feel like I often take the little things in life for granted, like actually drinking my coffee when it's hot. So, this month I will start with being more aware of: 1) What makes me happy? How can I maximize this? 2) What do I take for granted, and how can I appreciate my great life more? 3) What interrupts my good vibes? How can I decrease this? Begin to develop some loose plans (resolutions) around the other pillars of Engagement, Relationships, Meaning and Purpose, and Accomplishment. What am I doing now that works, and what can I experiment with going forward? You don't really want to do it, or stop doing it, but you think you "should". In other words, they don't line up with your purpose. You let perfection get in the way of progress, and you aren't flexible in adapting your resolutions as circumstances change. I'm really excited about being authentically happier. I'm doing it in a way that uses my signature strengths. I believe what I learn will serve others and maybe lead me to other worthy pursuits, and it's fun. I get to experiment with ways to feel better, and stop feeling bad. Even if some of the things I try may make me unhappy in the short term, it will be tied to greater happiness in the long term. Finally, I will take Gretchen Rubin's approach of not trying everything all at once, but rather a few things at a time. Unlike her approach, I will not plan out the whole year, but rather go where my daily observations and research lead me (be flexible). If you are interested in finding out what your Signature Strengths are, you can take this test: https://www.authentichappiness.sas.upenn.edu/ Go to Login and register (I promise, you will not get spam email, or at least I haven't gotten a thing in two years). Go to Questionnaire and choose the VIA Survey of Character Strengths.